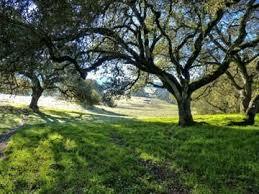 Want to do a through hike from N. Sonoma to Jack London Park or vice versa? Catch a ride on the SugarShuttle! Every half hour our Shuttle will leave from either North Sonoma Mountain (on the hour) or Jack London State Park upper lot (on the half hour). Make a reservation, and then ride to the other end of the trail, or hike and ride back. Riding first and hiking back to your car is the easiest way—no worries about how long you take to finish your hike. This 9-mile one-way hike should take 4 to 5 hours. This is why we recommend dropping your car off at one end and riding the shuttle to the other so you’re not having to wait for the shuttle to return when you finish your strenuous hike. The hike includes nearly 2,000 feet of climbing, so bring sunscreen, snacks, and lots of water. Shuttle operated by Team Sugarloaf / Sonoma Ecology Center in partnership with Sonoma County Regional Parks and Jack London Park Partners.